Our Spanish School is located in the beautiful and safe city of Mérida, in the heart of Yucatán Pninsula only 35kms away from the Gulf of Mexico coast. Our school building is strategically situated north east of Merida`s historic center in one of the most beautiful colonial neighborhoods of the city. 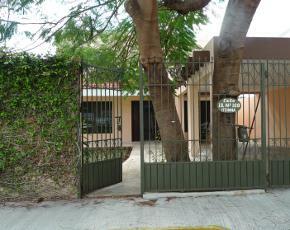 It`s a quiet and safe place, close to downtown and within walking distance to the city`s most important avenues. This courses is designed to help students improve their Spanish focusing on the skills of reading, writing, listening and speaking. As we believe that communication is the key and the main reason for learning languages, our highly experienced and professional teaching staff concentrates on practical communication using innovative methodologies and technologies as well as meaningful materials related to real life situations. 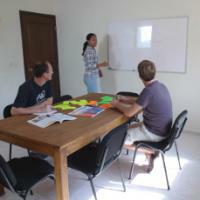 This course is specifically designed and intended for students who want learn specific vocabulary and expresion for Business Spanish, through different learning techniques, for that we focus on improving their Spanish focusing on the skills of reading, writing, listening and speaking. As we believe that communication is the key and the main reason for learning languages, our highly experienced and professional teaching staff concentrates on practical communication using innovative methodologies and technologies as well as meaningful materials related to real life situations. This course is specifically designed and intended for students who want to realize their certification exam Spanish Language (DELE) through different learning techniques, taking into account the guidelines of the Common European Framework for that we focus on improving in their Spanish focusing on the skills of reading, writing, listening and speaking. As we believe that communication is the key and the main reason for learning languages, our highly experienced and professional teaching staff concentrates on practical communication using innovative methodologies and technologies as well as meaningful materials related to real life situations. Living with a local Spanish speaking family is a great opportunity to experience the Mexican way of life and an excellent way to practice the newly gained Spanish skills in a natural environment. Our host families are upper-middle class families located in good and safe neighborhoods within easy reach of the school. All have been carefully chosen and are regularly inspected to ensure a safe, clean, comfortable and friendly environment. 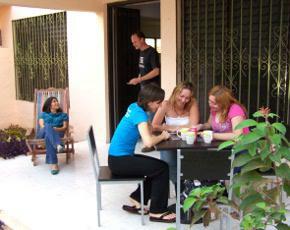 A private apartment is a great way for students to live an independent lifestyle while learning Spanish in Mérida. Students have the privacy of their own space and the opportunity to cook their own meals. Our private apartments offer a comfortable accommodation within walking distance of the school. Although configurations vary, most apartments include at least one bedroom, a living room area, a kitchen area, and a bathroom. They are cleaned weekly. 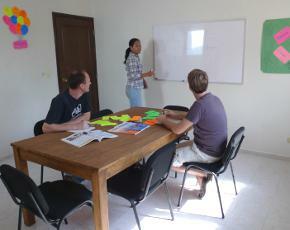 A private apartment is a great way for students to live an independent lifestyle while learning Spanish in Mérida. 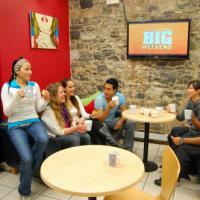 Students have the privacy of their own space and the opportunity to cook their own meals. 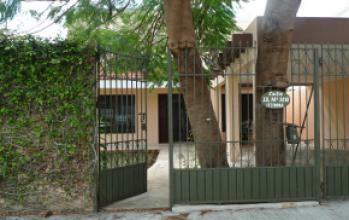 The Residence Suites offer a comfortable fully furnished accommodation in the center of Merida. These apartments include one bedroom, a living room area, a kitchen area, and a bathroom. They are cleaned weekly. Recently renovated, this residence provides accommodation for budget conscious travellers at a good standard. All rooms are clean and comfortable with a Maya touch. There is also a language exchange with locals every Thuesday. 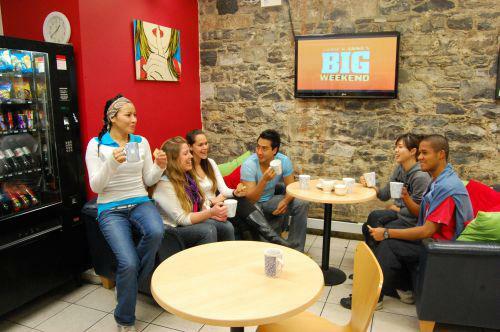 Perfect accommodation for people looking for a helpful, cozy place to stay with a perfect location and affordable rates. 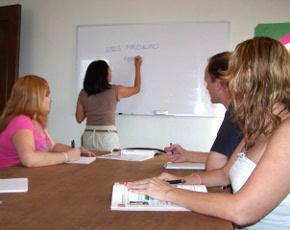 •The Spanish Center Merida is an independent, owner managed Spanish Language School. We are a team of professional and caring people dedicated to providing a first class experience for every student. All our courses are designed to help students improve their Spanish focusing on the skills of reading, writing, listening and speaking. - The school will be closed on Public Holidays. SCM does not make up for lessons missed on these dates. There is no refund for lessons missed. 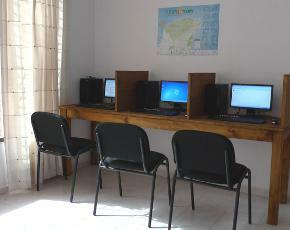 - Classes are held Monday to Friday, starting in the morning. However, SCM reserves the right to introduce a double banking time table where students alternate between morning and afternoon lessons, on a weekly or daily basis. - Students must have adequate health, accident and travel insurance while attending any of our programmes. 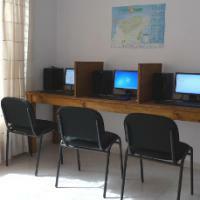 Most recent booking for this school was from United States of America and saved €25.92!